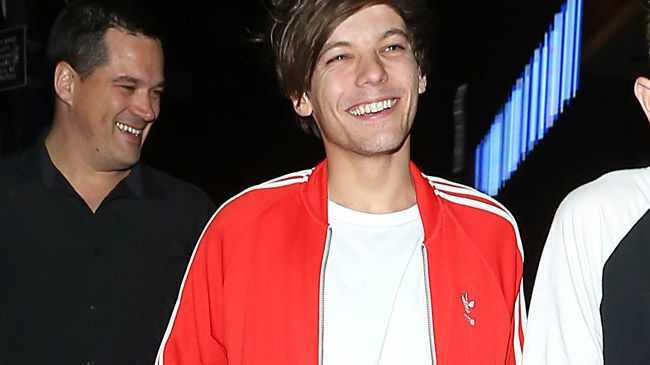 LOUIS Tomlinson has reportedly had a son. The 24-year-old singer's long-time friend Briana Jungwirth apparently welcomed the couple's first child into the world in Los Angeles this week. A source told People: "Louis is happy and very excited about becoming a dad and he thinks Briana will be an amazing mother." The singer himself has yet to comment on the news, remaining silent on Twitter. But that didn't stop the social networking site going into complete meltdown after the arrival was first reported. Within a matter of minutes, #WelcomeBabyTomlinson was trending, with fans worldwide offering their congratulations to the One Direction star. Reports of the new arrival began on Friday morning (22.01.16) when a One Direction fan account wrote that Briana's grandmother had confirmed the news, and had also revealed the baby was a boy. An Instagram post claiming to be from Briana's relative Marianna Case congratulated the pair on the new arrival, reading: "Louis just let Ur heart dance. U now have another you. A gift that will want to be just like YOU. "Love him & my young grandchild that gave him to you. LET her know she's special. She just wanted to love U not even knowing who U were or your profile Ur & reputation. Be free & just LIVE. It's simple. Not complex (sic)." Louis' former stepfather had also posted a teasing message on his Twitter page on Friday morning, writing: "Is that the patter of tiny feet?"